U.S. Attorney General Michael Mukasey gave a speech Tuesday saying that people wrongfully passed over for Justice Department jobs due to the politicized hiring process should reapply. But he made it clear there would be no prosecution of department wrongdoers. "Where there is enough evidence to charge someone with a crime, we vigorously prosecute. But not every wrong, or even every violation of the law, is a crime." Not every violation of the law is a crime? 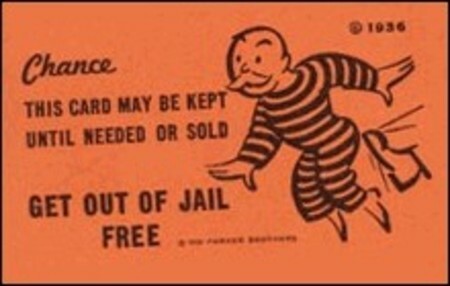 Thanks for the get out of jail free card, general! I'll be sure to cite you as part of my defense strategy next time I'm on trial!